And for many that future involves money and happiness. So imagine winning the lottery when you’re just 17. 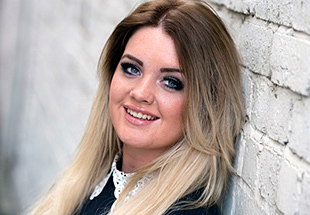 That’s what happened to Jane Park, one of Scotland’s youngest ever millionaires. After leaving school in the summer of 2013, she bought a Euromillions lucky dip ticket – her very first lottery ticket no less! – after seeing a sign outside a local shop. She didn’t even know whether she was old enough to play but luckily for her the required age is 17 or above. When it turned out she’d won, she phoned the National Lottery helpline but initially thought they were joking with her. When it finally sank in that she was a millionaire, she posted the news on Facebook! At the time Jane was living in at home in a two-bed council flat in Edinburgh, having just split up with her boyfriend. Talking to the BBC, she said:”I’m from a council estate called Niddrie. It’s not exactly Beverly Hills.” So, needless to say, the win turned her life upside down. One of the first things she did was go on holiday to Magaluf, a popular holiday destination for Brits, but none of her friends could get time off so poor Jane ended up going on her own. When she got back, she bought a Louis Vuitton handbag and a chihuahua named Princess. Then came the house. But things didn’t exactly go to plan. She bought a three-bed house on a new estate but lasted three weeks before moving back in with her mum. The issue was Jane had never lived on her own or been taught any of the everyday life skills she needed to be independent such as paying bills, housework, and even making the bed. Jane’s grandmother was actually surprised that such a large sum of money would be given to someone so young, saying: “It’s like giving someone a gun”. Jane Park agreed to be filmed as part of a BBC documentary that followed her first year as a lottery winner. It shows the highs and lows of winning a large amount of money so young, from handling the stress of internet trolls and how much money to give her family, to holidaying in Majorca and bonding with her mum. But the whole experience has taught her a lot about what is important in life. Her final thoughts on the lottery are actually very poignant: “Money can’t buy you love, can’t buy you friends, can’t buy you a family. And that’s how we see it at Lottosend: money won’t buy you happiness, but it sure makes things a lot easier! You Better Give It A Try!